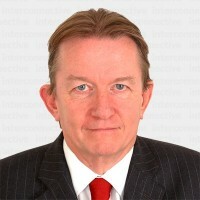 Infologue.com believes that in 2011 the regulated security sector was flat in terms of turnover growth remaining in the region of £3.3 billion. The annualised turnover of the Infologue.com Top 20 companies has increased by an estimated 2.11% from £2.575 billion to £2.645 billion. This means that 80.15% of the annual turnover of the regulated security sector is divided between the Infologue.com Top 20 companies. The “Top 5” G4S, Securitas, Mitie, VSG and OCS share approximately 55% of the regulated security market. Securitas appear to have successfully merged the security businesses of Chubb and Reliance into their company with minimal fall out. The growth of the bundled services providers (BSP) escalated with Sodexho joining the Top 20 with an annual turnover of £30 million as well as organic growth from the other bundled services providers. BSP’s accounted for approximately 59% of the regulated security sector with 11 BSP companies featuring in the Infologue.com Top 20. Two other new entrants to the Infologue.com Top 20 include TSS (Total Security Services) and CIS Security Limited. The turnover of the companies competing for the 20th position in the Infologue.com Top 20 was that close that we decided to create a joint 20th position. We have used the turnover of only one such business in our calculations. The Infologue.com Top 20 mirrors the regulated private security sector which includes companies operating within the following security disciplines with the exception of Vehicle Immobilisers. The disciplines are Manned Guarding, Cash and Valuables in Transit, Close Protection, Door Supervision, Public Space Surveillance (CCTV), Security Guarding, and Key Holding. The above table is based on estimates and historical published data of annual turnover and should be viewed only as a guide to the approximate size of the largest companies in the manned security industry. The turnover is calculated on annualised basis as of November 2011 and relates only to revenue derived from the regulated sector of the Private Security Industry. Some companies have non related areas of business in their statutory accounts which Infologue.com attempts to estimate and factor out of the estimated turnover. Whilst some companies are now providing information on turnover to Infologue.com all figures will not be accurate as statutory information can be up to two years out of date. Infologue.com welcomes input from the companies in the Infologue.com Top 20 and will amend any verified inaccuracies as soon as possible. Therefore these figures should be treated with caution and be regarded as a best guess. The Infologue.com Top 20 UK Companies in the Regulated Security Sector 2011 is an exclusive production of Infologue.com and may not be replicated without the express written permission of the producers thereof.